Looking to add some extra benefit to your massage? Cannabis seems to be the plant that keeps on giving. It’s uses are nothing short of incredible and date back thousands of years. There are various species of cannabis, and cannabidiol (CBD), is one that has been gaining a ton of popularity since marijuana became legalized in many states. Many people still confuse CBD with THC which causes them to be cautious. There are, however, People are still often cautious of using CBD oils as they sometimes confuse CBD with THC, but there are actually many differences between the two. While THC is known to get people high or alter their state of mind, CBD does not. CBD is not psychoactive and also has more medical use than the more commonly known THC. There are many benefits that may be gained by using CBD oil during your massage. CBD oil has been speculated to help people who are suffering from arthritis, injuries, sore muscles, neurologic disorders, and tension. For those looking to relax or relieve anxiety, CBD may be a great option to consider. 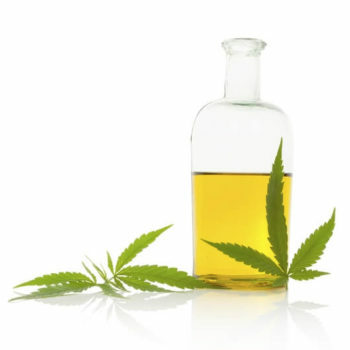 The use of CBD oils in spas that perform massage is spreading across the nation. Incorporating CBD into massage therapy in spa treatments has been shown to reduce inflammation, relieve and decrease pain, and reduce stress. CBD products will not get you high and are applied to the skin during a massage. It can help reduce pain, inflammation, and much more. A study conducted by the World Health Organization stated that there is no evidence correlating any public-health-related problems with the use of pure CBD. It was also added that CBD “is generally well-tolerated and has a good safety profile,” and the study stated that “CBD does not induce physical dependence and is not associated with potential abuse.” It is recommended however to consult with your physician first. The next time you’re in for a massage at the Happy Head, ask about incorporating CBD oil into your massage. It may be just what you need to ensure that you leave feeling rejuvenated, relaxed, and have an even happier head than before.